We’re Going Back…Want To Come With Us? 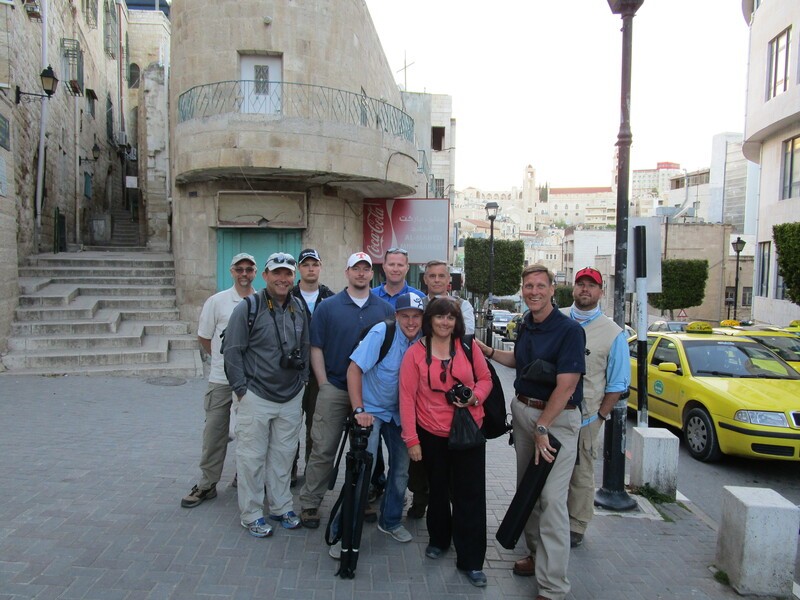 So said Gary Massey after our group’s return this past spring from a whirlwind trip through the fascinating land that we read about in the Bible. And I wholeheartedly agree. My personal experience in the land of Israel changed my perspective, softened my heart, deepened my love for my Heavenly Father, and strengthened my faith in scripture. If the Lord wills, we plan to return on April 4-16 of next year (2016), and we want to share this experience with those of you who have the same desire. 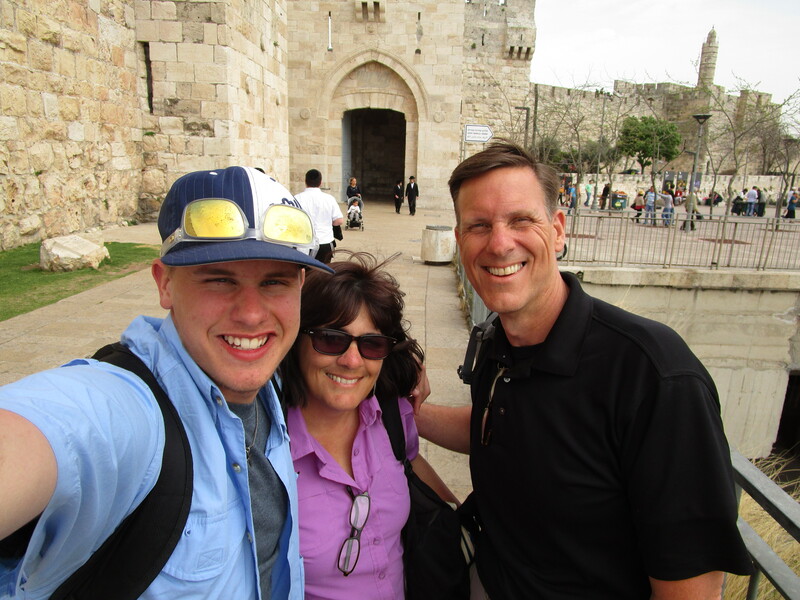 We’ve been working with our travel agent in Israel, putting together an itinerary, searching for the best prices, building a website, and we’ve been praying about this work. 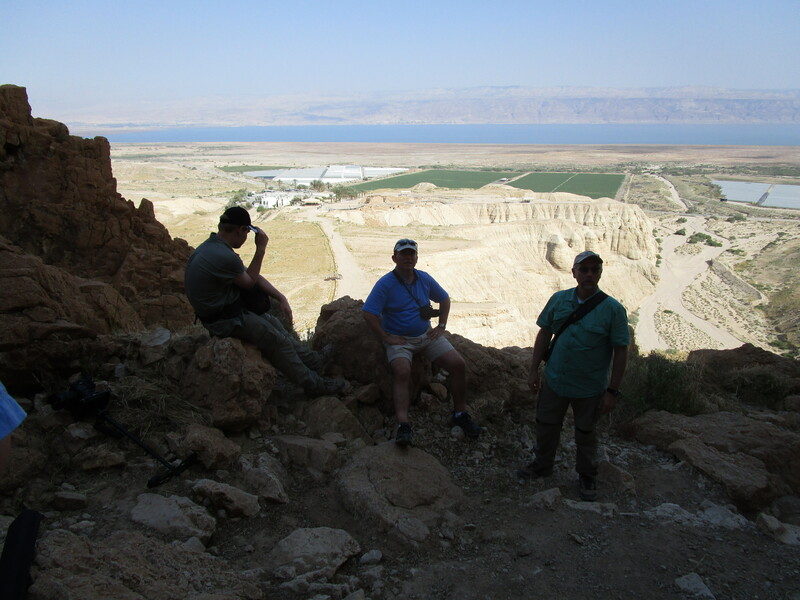 John is passionate about the geography, topography, archaeology, and the Bible lessons that can be reinforced by a closer look at the land of Israel. Our longtime friend Dr. Jonathan Moore (whose name will be familiar to you if you kept up with the blog while we were there,) will also be traveling with us, and sharing his deep knowledge of the area. 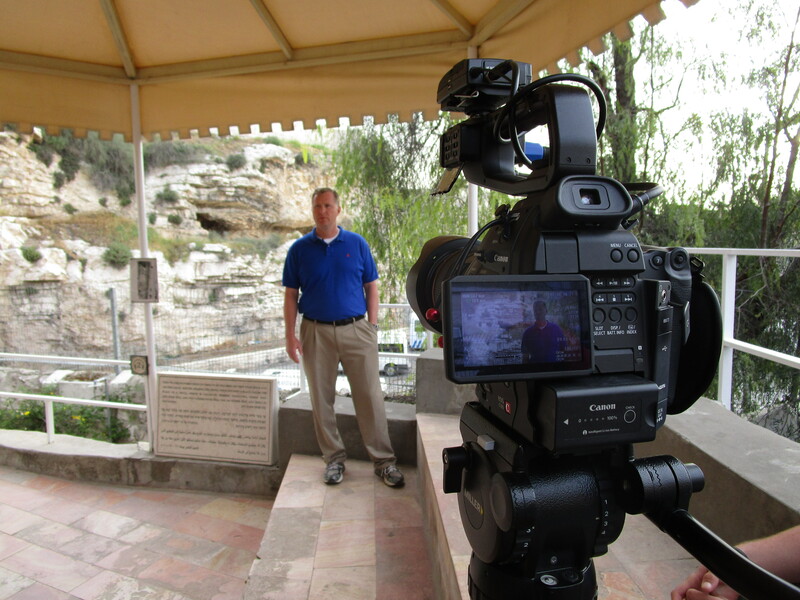 Jon filming near the Garden Tomb – one of his and Gary’s videos will be about the death. burial and resurrection of Jesus. 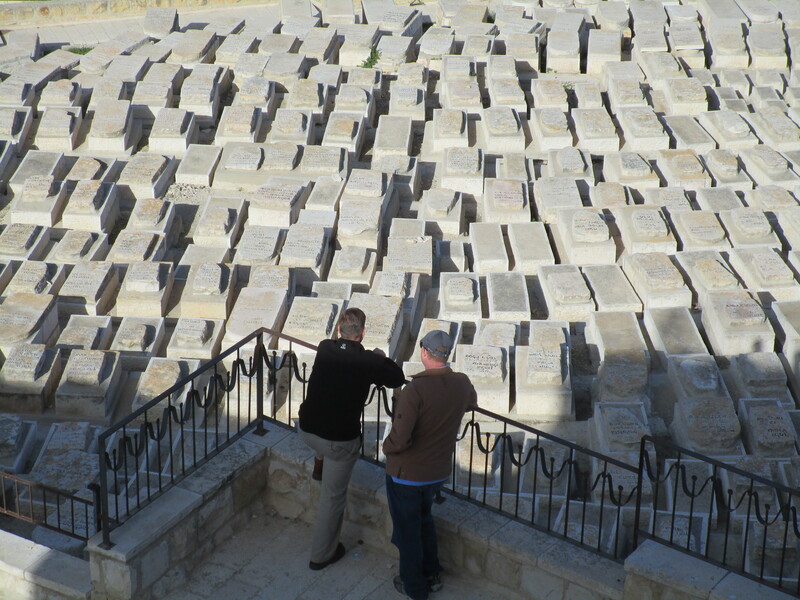 Mat filming John telling the story of David and Goliath here in the Elah Valley. I’ve watched this clip that is being prepared for one of the faith lesson videos – it’s going to be great! If you are interested in joining us, take a look at our new website here. It should have all of the information that you need to get started planning, along with the cost (worth EVERY penny! ), links to lots of maps and interesting places that we will see, and lots of photographs. I’ve had fun building it and hope it will be user friendly for you. Let us know how we can help you make this a reality! 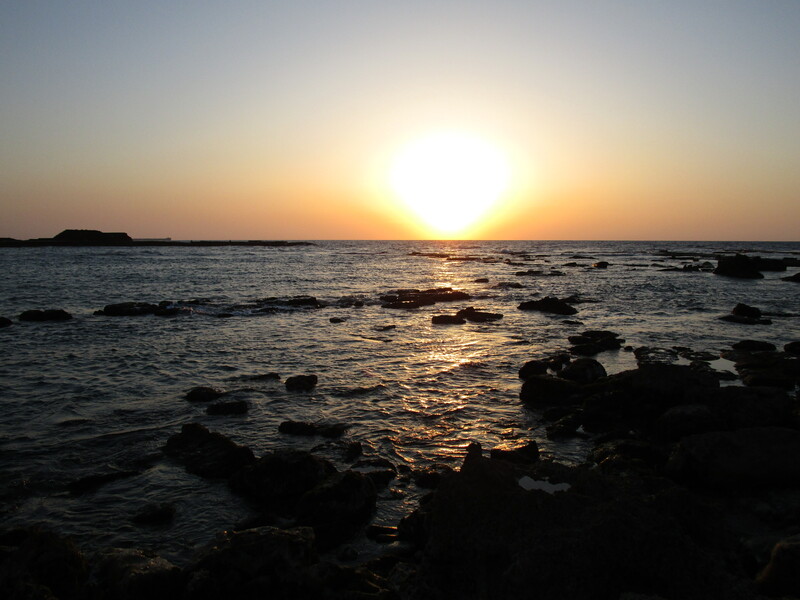 Beautiful sunset over the Mediterranean from Caesarea – can you imagine yourself standing here on April 5, 2016? Next It’s Here! It’s HERE! The new website looks great, and I want to do it ALL!